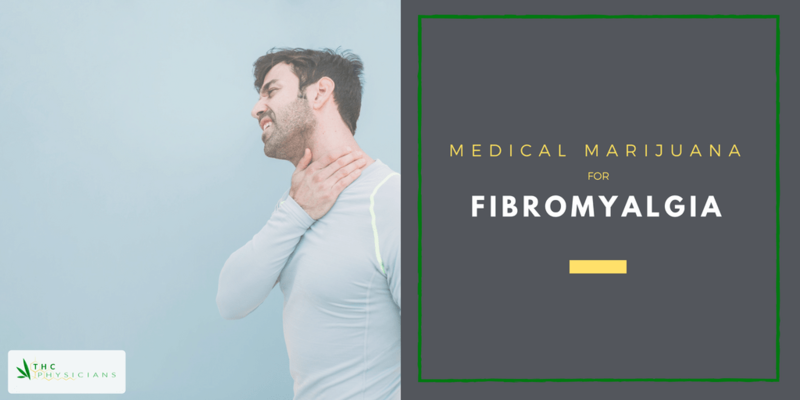 If you or a loved one is suffering from fibromyalgia, medical marijuana may be able to help ease the pain and symptoms so you can get back to living your life. Fibromyalgia is a disorder which causes widespread musculoskeletal pain, chronic fatigue, and a host of other psychological and emotional issues. The National Institutes of Health say between four and six million Americans suffer from fibromyalgia and women are more likely to be diagnosed than men . While there’s no exact cause for fibromyalgia -- and no cure -- several treatment options exist to help manage the symptoms. One of those options may be medical marijuana for fibromyalgia. The constant and extensive pain of fibromyalgia often leaves people unable to hold down a job or take care of their family obligations. Simple chores and daily activities are not only physically punishing on the body, but may also leave patients exhausted. Neurologist and pharmacologist Dr. Ethan Russo believes fibromyalgia could be related to Clinical Endocannabinoid Deficiency (CECD) . See, the endocannabinoid system in your body allows communication to happen between your brain and your organs, tissues, cells, etc. to maintain a stable, well-functioning internal environment . But when your endocannabinoid system becomes unbalanced, your health, motor skills, mood, sleep, GI health, and other areas will suffer the same way fibromyalgia patients describe. Scientists believe fibromyalgia affects the way your brain processes signals of pain so they become much stronger. Both THC and CBD, the major active cannabinoids found in medical marijuana, may be effective at blocking these extreme sensations of pain. Many studies show cannabinoids can alleviate various types of pain stemming from fibromyalgia and other chronic musculoskeletal conditions . When the National Pain Foundation conducted a survey of over 1,300 people with fibromyalgia, more than 30% of respondents admitted to self-medicating with medical marijuana. Of those, 62% reported marijuana as “very effective” in treating their symptoms and 33% reported it “helped a little” when compared to other FDA-approved drugs . A study of 30 patients with fibromyalgia showed all patients improved significantly in every fibromyalgia symptom marker after beginning treatment with medical marijuana. And 50% of patients in the study stopped taking other fibro medications in lieu of medical marijuana . During another study, researchers gave nine fibro patients a daily dose of 2.5 to 15 mg of THC without any other pain medications for three months. All reported a significant reduction in daily recorded pain . While there are several papers studying self-reported data from patients with fibromyalgia about their marijuana use, very few clinical trials on medical marijuana for fibromyalgia have been conducted. Even after examining the reviews, there may not be enough evidence to suggest a benefit in medical marijuana for fibromyalgia other than self-reported user data . And these results may not be as reliable as lab-recorded data. Plus, users have access to different types and quantities of marijuana so the results aren’t standard across the board. Marijuana may also interfere with other fibro medications users may be taking, which also muddles the results. This frustration with treatment options is common for fibro patients as the condition continues to be misunderstood and under- or misdiagnosed. The cause of fibromyalgia is still not totally understood. Symptoms can begin gradually and get worse over time or begin with a single triggering event. Genetics. Fibromyalgia runs in families so certain genetic predispositions may increase your chances of inheriting the disorder. Infection. Fibromyalgia can also start from certain illnesses and infections. Other medical conditions such as osteoarthritis, rheumatoid arthritis, or lupus may make you more susceptible to fibromyalgia. Physical trauma, such as a fall or car accident, can also trigger it. Severe psychological stress, whether over time or after a specific incident. Symptoms of fibromyalgia most often begin with regular, widespread pain described as a dull ache for at least three months. “Widespread” means you feel discomfort on both sides of your body and both above and below your waist. Fibromyalgia pain may be caused by repeated nerve stimulation, which creates an imbalance of pain-signaling chemicals called neurotransmitters in your brain. Plus, pain receptors in the brains of those with fibromyalgia also appear to actually become more sensitive to pain over time. Fibromyalgia is incredibly difficult to diagnose and treat. It’s estimated only 35-40% of people with the condition get relief from the available medications. Treatment for fibromyalgia generally includes medications to help control the symptoms, such as painkillers and antidepressants. You may be able to alleviate some of the pain from fibromyalgia with light exercises like yoga, relaxation techniques like meditation, and stress-reducing activities like grounding yourself in nature. Patients with fibromyalgia have shown positive results with the usage of medical marijuana. 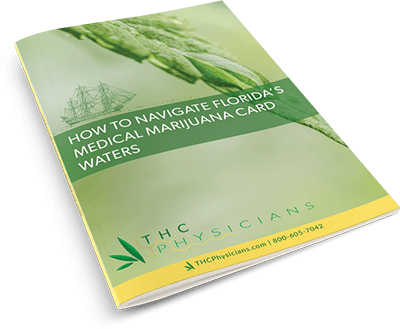 If you are interested in trying medical marijuana for your fibromyalgia or are inquiring for a loved one, you should first seek out your local laws to determine the legality of the drug in your state, the types of medicine you can use, where to get it, and how much you need.